The ear demands variety, whether you are reading aloud or not. 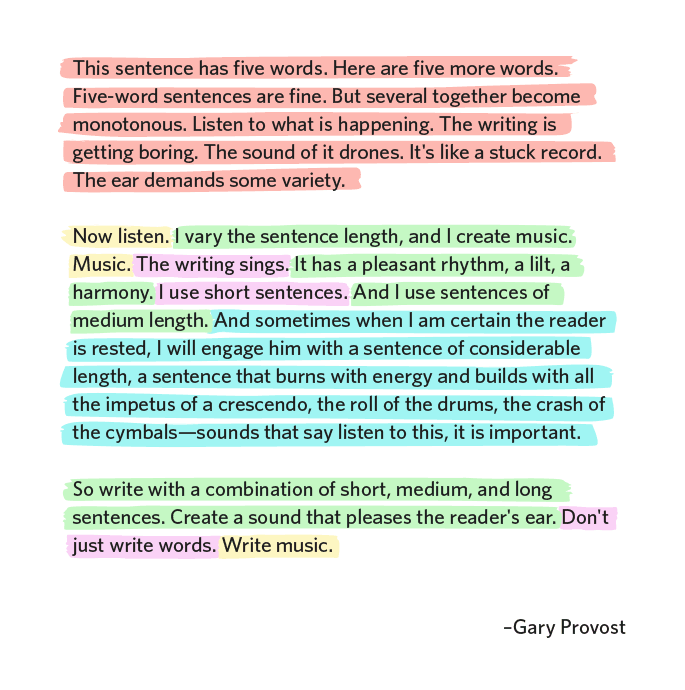 Varying your sentence lengths creates a pleasing rhythm for your reader. Just like songwriting is about more than lyrics, writing is about more than words. It's about rhythm, too. So whether you're writing a PR pitch, press release, website copy or a marketing email, always remember to vary your sentence lengths. The Hemingway App can help you identify issues with sentence lengths.